It’s time, y’all! It’s time to celebrate what we’ve accomplished and did well in 2016 and look ahead to what we will tackle in 2017!! The age old question this time of year is “So...what are your New Year’s Resolutions? ?” Everyone likes to talk about them, but in recent years, I’ve really started to hate the wording of that question. I can’t help but see the relationship between the word “resolution” and short-term motivation. People seem to go balls to the wall for a whole 3-4 weeks because they are committed to (insert resolution here - i.e., lose 15 lbs., stop eating processed sugar, work out 5 times a week, stop eating fast food), but the truth is, they get burnt out incredibly fast. We want quick fixes to our “problems,” so we come up with quick answers, and that’s not the way it works. I prefer the phrasing “New Year’s Goals!” Yeah, I know, it doesn’t have the same ring to it, but hey, it’s way more appropriate and it tends to give us some grace! It portrays the feeling that we thoughtfully came up with our new objective this year, we should work toward that outcome, and there may be some work involved, but we understand it’s also about the journey along the way to that end goal. Recently, I have had the pleasure of getting to know someone who appreciates making goals and is definitely making an impact in keeping Austin healthy! I knew I wanted to pick her brain about her 2017 New Year’s Resol...Goals. 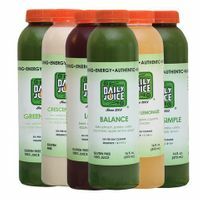 ;) Joanie Frieden, owner of Daily Juice Cafe, is a down-to-earth mama who LOVES to learn more about making healthy eating “doable” for each and every person because she believes everyone should have the chance to feel good on a daily basis! 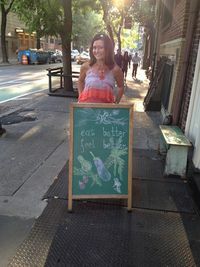 (Read more about Daily Juice locations and menu!) Hope you enjoy her story and her vision for 2017! Can you give us a short bio about your health journey and how you got where you are today? Five years ago, my husband and I were on vacation, not making great food and drink choices, and just feeling bad. We have always been physically active, working out a lot -but we didn’t put great things into our mouths. I had heard about juice cleanses, but had never tried juicing, and didn’t know anything about it. I went online and ordered a 3- day cleanse from a company in NYC to be shipped to my house the first day back from vacation. When that box arrived, and I looked at the 18 bottles of juice that I would be having over the next 3 days, I was not excited. However, I paid a ton for this cleanse, so I had to do it! My experience was life changing! I encouraged my husband to do the 3- day cleanse, and his experience was exactly the same as mine. We were hooked! At that point, we decided to evaluate the foods we were eating, and more importantly what our four children were eating. Sadly, despite the fact that I cooked every night, we had a lot of crap in our house. We made the decision to remove processed foods, artificially flavored drinks, sports drinks, milk…. Essentially, all the JUNK from our pantry and refrigerator. We focused on making only whole ingredient meals, and filling our plates with mostly fruits and vegetables. Our children went into a state of shock, and when I truly think about those next few weeks, I believe we were all detoxing from the effects of overly processed, chemically laden foods. Soon after, I started making juice cleanses for friends and referrals. I then launched on Facebook to see what kind of interest existed. Business picked up, and I needed a location to produce juice, and equipment that was better than my home juicers! We opened our first location on 12/12/12, and are now up to 11 stores in Austin and Houston, and a franchise in Nashville. 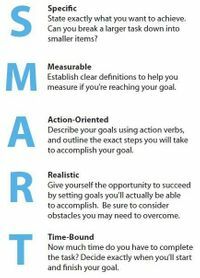 Do you believe it’s important to set goals for yourself? If so, why do you feel like that’s helpful? What are your goals for 2017? What would you like to see happen with you personally AND with your business? My personal goals for 2017 are to manage my time a little bit better, to not spread myself so thin. I tend to say “yes” to too many things because I want to do everything. I want to be more present with my family - which means I need to be better about setting aside enough time to get my work, volunteering, and friendship nurturing accomplished so that it doesn’t interfere with my time with my family. My other personal goal is to continue my wellness journey. So much has happened over the past 5 years, and I’ve learned so much, but there is so much more to learn. My business goals involve growing our customer base by creating more lifetime customers. I know that what we do is powerful. I know that what we do has the potential to change many lives - just as it has changed my life, and more importantly, my family’s lives. What are a few health goals you envision for your current customers (and future customers) in 2017? This time of year typically brings many people in who desire a change. They want to improve their health. They want to lose some extra pounds. They want to change their eating habits. They want to learn how to properly fuel their bodies. We want to help as many of these people as we can! My life was changed as a result of a 3- day juice cleanse. My life was further changed by changing my diet. We’ve also recently launched our Fit Meal program, where we have developed meal plans that provide great tasting dishes with killer macros designed to help people stay on point and reach their goals!